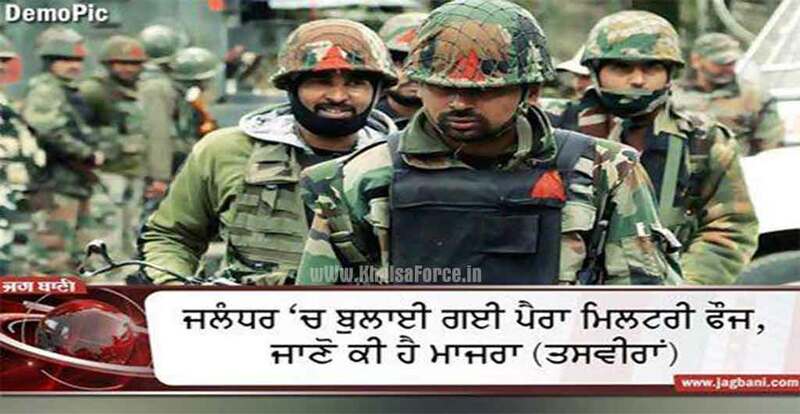 Jalandhar: As per media reports the administration has deployed paramilitary forces in Jalandhar. According to a TV news report ITBP (Indo-Tibet Border Police) has been deployed in Jalandhar the number of police personnel deployed in the city is also increased. A senior police officer said that the security has been stepped up city in wake of 6 June Ghallughara Samgam. He said that Jalandhar has been identified as ‘sensitive’ area. Notably Ghallughara Samagam will be held in Amritsar on 6 June to mark the anniversary of Indian Army’s attack on Darbar Sahib.